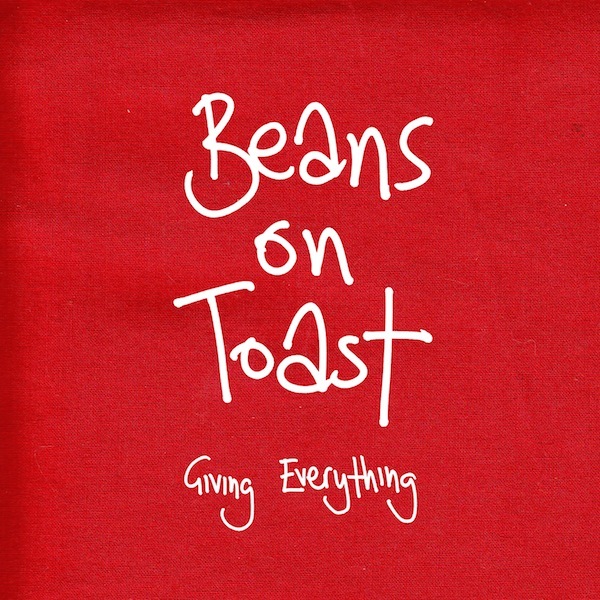 Beans on Toast New Album Is Released! The brand new album from Beans on Toast titled ‘Giving Everything’ has been released on Xtra Mile this week and went straight into #11 on the Singer Songwriter Charts on iTunes. By far Beans’ best work to date, Giving Everything was recorded in the wonderful Toybox studios in Bristol and produced by Mike Freear from Pyro Circus Gypsy Rave outfit Slamboree. It is still a folk record, but it has a twist. Subjects tackled on the album range from Prince Harry joining the army to Fracking; from the Modern day Glastonbury and English music venues to American conspiracy theories and all the way through to swollen throats, love and things, lots and lots of Things. There’s no point in bullshitting, these are simple 3 chord folk songs about the life that he leads and the world as he sees it. Carried through by the heartwarming nature and infectious charisma Beans conveys in every song. You can’t really dance to it but its music for people who do like to dance, especially to the beat of their own drum. Grab yourself a copy from iTunes or direct with the label, Xtra Mile.